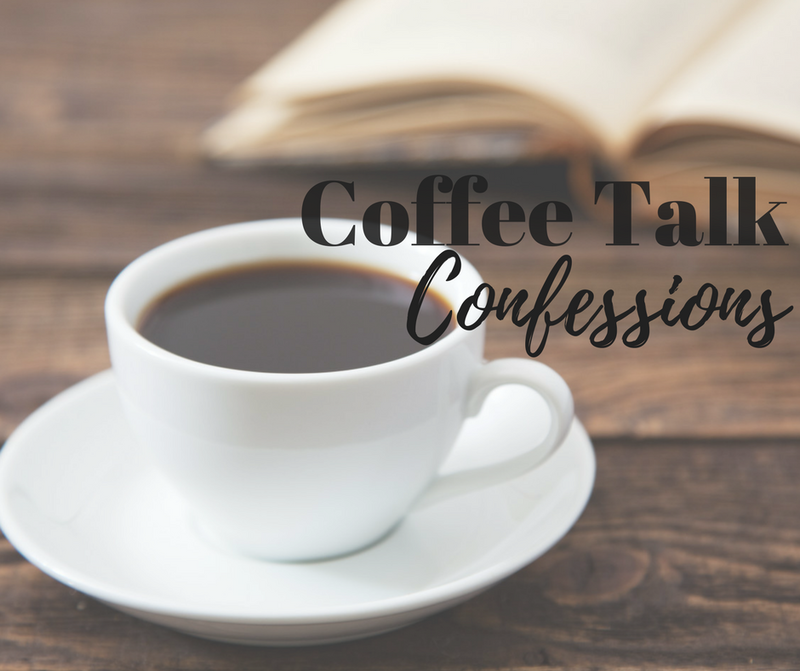 It’s time for another session of Coffee Talk Confessions. I need to keep it light around here because we’ve had a bit of a rough week,health-wise. Both the girls and myself have been feeling pretty crummy with various colds/stomach bugs going around so we’ve been trying to rest and take it easy as much as possible. If we had to be sick, I’m glad it was this week because Monday we’re going on a CRUISE! We are beyond excited and little by little this week I’ve been packing and getting the house clean. I hate coming home to a disorganized, less-than-clean house after a long vacation. As soon as I walk in I can feel my stress level skyrocket, so I try to get the house as tidy as possible before going out of town. So anyway, let’s get to it! What have I got on my mind today? 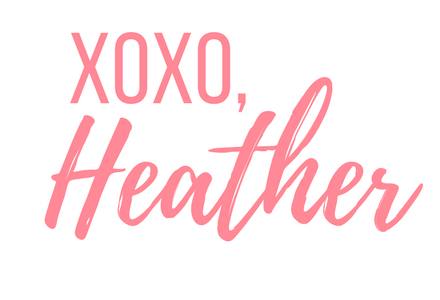 Psst… toward the bottom you’ll also find a few of my favorites right now AND some big changes to my hair! //Here’s something I never used to think about before having kids – the back stall in the restroom. IF the baby changing table is in the back handicap stall and IF you are neither handicapped nor have a small child to change, please try to use a different stall if there are others open. Like I said, I never even thought about it until I had to wait to change a baby with a blowout diaper because someone was taking their time in the back stall and all of the others were empty. It’s just a courtesy to moms of young children, as well the handicapped who need that extra space. //I am more. than. ready. for cold weather to come to Alabama. I have a fall wardrobe I’m excited to wear, my dog is shedding his summer coat like crazy, and I’m just plain tired of sweating. I want to walk out of the house with an oversized sweatshirt, leggings and boots and be comfortable. Fast forward about five months. Over Thanksgiving break David’s house and the house next door got broken into and guess what they took? Every one of those flat screen TVs along with every other piece of electronics they had in the house. And of course he didn’t have renter’s insurance because he’s in college and when you’re young you just don’t think about things like that. So we ended up paying about $20/month on this TV that we no longer own for the next couple years. And sure, $20/month isn’t much but every time we would have to make a payment, it was just so frustrating to think we had to pay for this expensive thing that we only got to enjoy for five months. Once I graduated and started making money we ended up just paying it all off so we didn’t have to fool with it anymore. I wish that we had taken a Dave Ramsey course in college, or even high school before going to college so we would have a better idea of how to manage our money because we weren’t very good at it. //A sweet new employee at work told me the other day that she puts a few shakes of pumpkin pie spice in with her coffee grounds before brewing it and yall….it is so good! I actually prefer that over pumpkin spice flavored coffee. //Speaking of pumpkin spice – I think my family and friends know me well. In the picture below I’m wearing a shirt that my mom got me that says “You had me at pumpkin spice.” And my friends Liz and Sara snagged this ceramic coffee mug from Target because it was “just so Heather.” What can I say, I really like pumpkin. //A New Day, the new line of women’s clothing at Target. Specifically these two new pairs of leggings. They are both different, which is why I bought two pairs of black leggings at the same time but they are equally as comfy/durable. This entire line is adorable, and very reasonably priced! Oh and another great thing about both of these pants is that they don’t pick up my huskey’s hair hardly at all. That’s one thing I hate about wearing black clothes and having a hairy dog is that you can’t get out of the house without wearing what seems like half his coat. These pants have been great though! That’s all I’ve got for today! I’ll be taking a little hiatus on the Caribbean Sea so you won’t hear from me for a couple of weeks. I hope everyone has a great weekend! As always, thanks for reading! For more confessions, visit the Confessions Archive.